The opening reception of Kathrin Haaßengier’s second exhibition at galerie postel on November 10th, 7 pm, will be accompanied by a concert given by the artist herself and jazz drummer Gerd Vierkötter. The ensemble of objects used as musical instrument by the artist will remain in the exhibition for visitors’ own sound experiments. Delicate structures shape the latest sculptures by artist Kathrin Haaßengier: Wings made from latex vibrate in the air, activated by small motors, long tubes form slender objects. 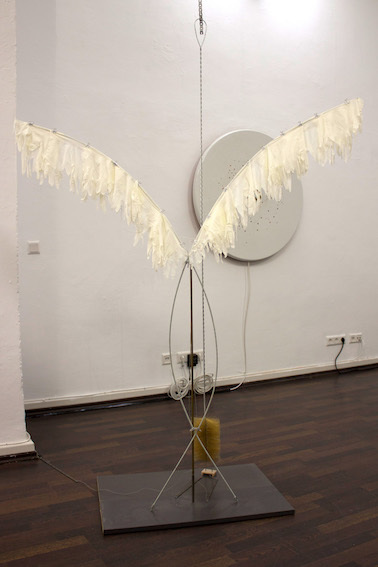 Made from building supplies, antiques and everyday objects Kathrin Haaßengiers integrates materials into her works that can be found in everyday life. Activated by energy bodies of the sculptures are often formed by the wire that at the same time transports the energy that activates movement, light and sound. Kathrin Haaßengier uses the element of controlled coincidence to disrupt energy and movement and thereby to generate the impression of the sculptures as individual entities. 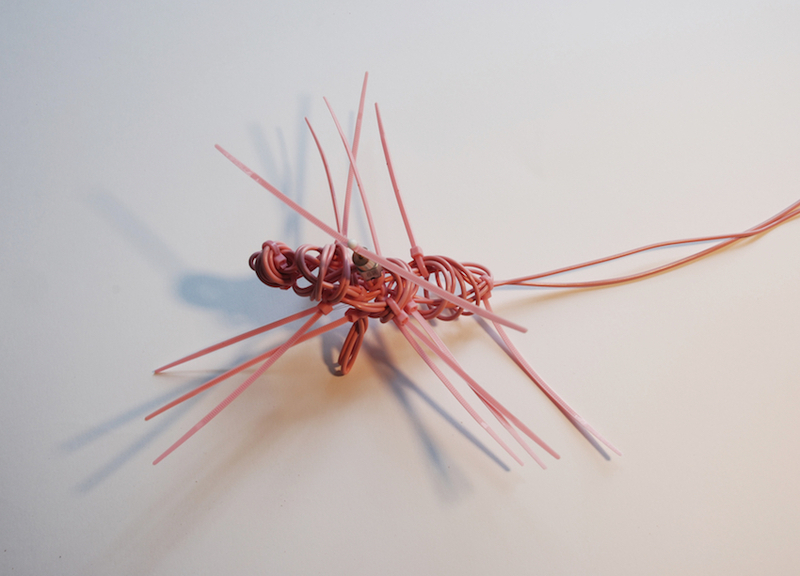 Visitors familiar with Kathrin Haaßengiers work will recognize the insect like structures formed from wire and building supply that was characteristic of her work shown at her last exhibition at galerie postel. Today it is complemented by works of more elongated dimensions reminiscent of the human body. 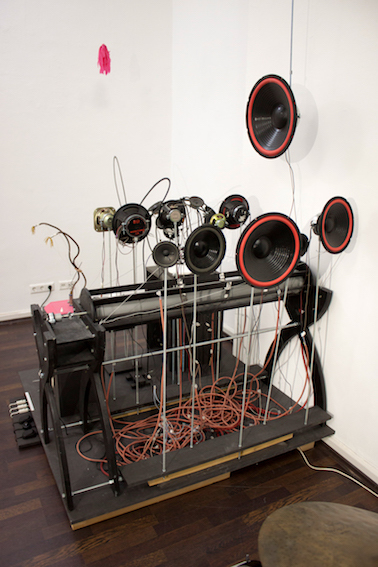 Many objects require interaction: The ensemble used for the concert can be activated by the visitor via several switches and buttons for own compositions and experiments. 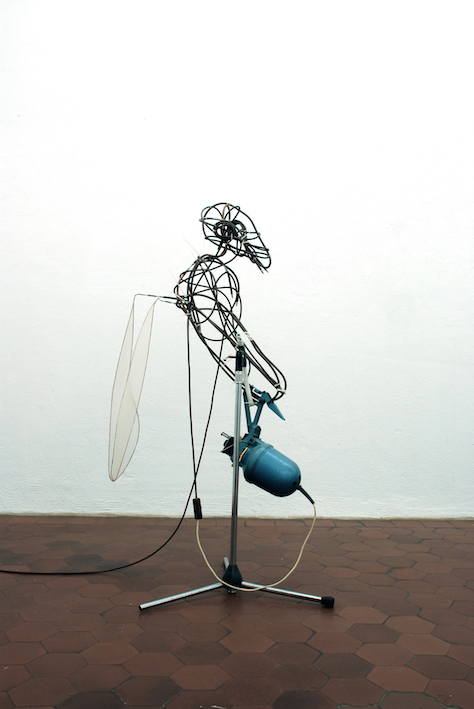 Like many other objects the sculptures part of this ensemble will reward their activation by action, sound and movement, engaging in a dialogue with the person who activated them.